The first round of elections for a new Austrian president this weekend threatens to send tremors through Europe’s political establishment, with the far-right and Greens expected to knock the country’s two main political parties out of the race for the first time in modern history. Since 1945, occupants of Vienna’s Hofburg palace have been backed by either the centre-left Social Democratic party (SPÖ) or centre-right People’s party (ÖVP), which have dominated the country’s politics. But in Sunday’s election for the country’s head of state, Norbert Hofer of the anti-immigrant Freedom party (FPÖ) is forecast by pollsters to take either first or second place after a surge in support following Europe’s refugee crisis. Although surrounded by high levels of uncertainty, opinion polls suggest he will be joined in the run-off vote on May 22 by Alexander Van der Bellen, the Green party’s candidate. Irmgard Griss, an Austrian judge running as an independent is also polling strongly. While the Austrian president has a largely ceremonial role with few real powers — the government is run by the chancellor — Sunday’s election will be closely watched in other European capitals. It represents an extreme example of a dynamic in evidence across the continent of mainstream parties eroding as voters increasingly gravitate towards fringe, often populist, parties. 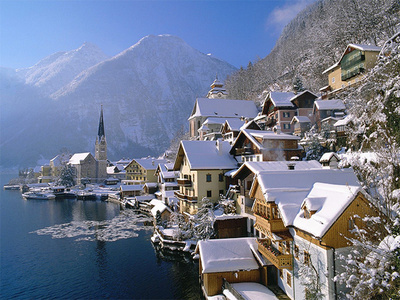 “Over the past decade, Austria has been a harbinger of things to come in the rest of Europe. The FPÖ’s xenophobic stances in Austria were taboo in Germany — but now populist movements are starting there as well,” says Heather Grabbe, European politics expert at the European University Institute in Florence, Italy. In France, National Front leader Marine Le Pen is expected to poll strongly in next year’s presidential election, pushing socialist incumbent François Hollande out of the race. In Germany, Chancellor Angela Merkel’s centre-right bloc has lost support to the right-wing Alternative for Germany (AfD). The FPÖ is arguably Europe’s best established far-right party. In 2000, under Jörg Haider, its charismatic leader who died in a high-speed car crash in 2008, the party entered into a coalition government with the ÖVP — leading to attempts by other European countries to ostracise Austria. Weak economic growth, and the recent surge in refugees fleeing wars in countries such as Syria, has encouraged “Haider-isation” across European politics — in which nationalist leaders play up differences between ordinary voters and the political elite, and argue newcomers are gaining unfair rights and privileges. The polarisation of Austria, long regarded as one of Europe’s most stable, affluent and consensus-orientated democracies, shows that “Europe has to find clear-cut messages — maybe more liberal or maybe less liberal, but not something in between,” says Anton Pelinka, professor at the Central European University in Budapest. Initially, Austria’s social democratic chancellor Werner Faymann backed Ms Merkel’s stance on refugees. But with support for his policies falling and the country’s institutions straining to cope with hundreds of thousands of arrivals in Austria, his government reversed its position. Measures to halt immigration inflows along the so-called “Balkan route” have strained relations between Vienna and Berlin. Disaffection with Austrian mainstream politics, however, has been exacerbated by the country’s economic stagnation — and the fact that declining election support has forced the SPÖ and ÖVP into a “grand coalition” government. “There is really deep distrust by the vast majority of the population,” says Thomas Hofer, a political analyst in Vienna. “The formation of the coalition — how they interact, how they quarrel and cannot agree on a cohesive programme — appears as pure stalemate.” Opinion polls show the SPÖ and ÖVP candidates trailing in fourth and fifth place in Sunday’s contest. If the FPÖ’s Mr Hofer secures a place in the second round vote, Austrian voters are likely rally around whomever his opponent is in an attempt to halt the party’s rise. But Vienna’s policy reversal over immigration showed the party’s growing influence over Austria policies. “Ten years ago it would have been impossible for Austria to impose border controls like that — it would have contradicted Austria’s Balkans policy,” says Ms Grabbe. Europe's migration crisis led to a sharp increase in extremist and racist attacks in Austria last year, according to the interior ministry. Registered incidents rose by 54 percent to 1,156, compared to 750 in 2014, according to latest figures published on Friday. The number of offenders reported to police jumped from around 560 to more than 910 for the same period. In total, some 1,690 charges were brought over far-right attacks last year, ranging from bodily harm and property damage to fanning hatred against foreigners. 'There is no doubt that the migrant issue has contributed to a polarisation of Austrian society and prompted a rise in offences,' said interior ministry spokesman Karl-Heinz Grundboeck. The biggest number of offences were recorded in Upper Austria state, the country's industrial heartland, through which hundreds of thousands of migrants trekked in 2015 on their way to neighbouring Germany. Extremist organisations have seen their ranks swell, Grundboeck said, with groups carrying out increasingly brazen attacks. Last week, around 30 members of the far-right Identitaere movement stormed a Vienna stage during a play performed by refugees and sprayed fake blood on the audience. EU member Austria took in 95,000 asylum-seekers in 2015, making it one of the bloc's highest recipients on a per-capita basis. The influx of migrants and refugees has prompted a surge in popularity for the far-right Freedom Party (FPOe), which is hoping to reap the gains in this week's presidential election. The party - whose candidate Norbert Hofer is polling in second place ahead of the first round of voting on Sunday - has been staging protests outside refugee centres in Vienna, the latest drawing several hundred people on Monday evening. Three FPOe supporters were arrested after a brawl with police officers. In an effort to stop the FPOe's advance, the ruling coalition of Social Democrats and conservatives has adopted a hard-line stance on migrants by building border fences and introducing tough new asylum laws. Slowly but surely, the political tides are turning in favour of Austria’s right-wing populist Freedom party. Thanks to the impact of Europe’s refugee and migrant crisis, and thanks to declining public confidence in the two mainstream parties that have dominated Austrian politics since the Second World War, the Freedom party is top of the opinion polls, consistently attracting more than 30 per cent of public support. Now the Freedom party, unashamedly playing its anti-immigrant, anti-Islam cards, wants to upset the apple cart in Austria’s presidential election, to be held on Sunday. The top two candidates will go through to a second round on May 22. According to the latest polls, these will be Alexander Van der Bellen of the Greens and either Irmgard Griss, an independent, or Norbert Hofer of the Freedom party. If Mr Hofer made it into the second round, he would not be expected to win, for the moderate majority of Austrian voters would rally behind whoever his opponent was. However, the true significance of the election would lie in the first-round result. For the first time since Austria’s return to democracy after 1945, the two establishment parties – the centre-right People’s party and the Social Democrats – would have failed even to secure a place in the second round. The Freedom party would be able to claim that it had helped break the establishment’s grip on the levers of power in Austria. Meanwhile, should the trend in opinion polls hold up, it is hard to see how the Freedom party can be prevented from entering a coalition government at national level after Austria’s next parliamentary elections, due by September 2018. Such a breakthrough would make it Europe’s most successful right-wing populist party. France’s National Front, the Dutch Freedom party, Italy’s Northern League, the Sweden Democrats, Britain’s UK Independence party and other such movements are reshaping the political landscape in their respective countries. But none looks as likely as the Austrian party to grab a share of national power. About 700,000 refugees and migrants passed through Austria last year, mostly on their way to Germany and Sweden. But about 90,000 asylum-seekers remain, mainly from Afghanistan, Iraq and Syria. Having tightened controls on its borders with Hungary, Italy and Slovenia, the Austrian government – a grand coalition of the People’s party and Social Democrats – has re-established the sense of order that is so important to the Austrian people. But it has come at a price. Johann Gudenus, a senior Freedom party politician who is deputy mayor of Vienna, tells me: “All our warnings about the refugee crisis came true. Voters have realised we were right.” When I lived in Vienna in 1983, the Freedom party was in government, as a junior coalition partner to the Social Democrats. However, the Freedom party in those days was a liberal, centrist party, although with some nationalist overtones. It turned sharply to the right after Jörg Haider, a right-wing extremist who found good things to say about Adolf Hitler’s employment policies, seized control of the party in 1986. The Freedom party had a spell in power from 2000 to 2006, in a coalition government with the People’s party. This caused the rest of the EU to impose political sanctions on Austria – an episode that deeply offended even moderate Austrians, who resented being pushed around by foreigners. Should the Freedom party come to power in 2018, one has to wonder if the EU would attempt to repeat that kind of punishment. Europe’s political climate is much more fraught nowadays. Increasingly, it looks as if Austria is going to be a test case for Europe. Indeed, Austria will be the canary in the mine...All of the above comes as no great surprise and was quite predictable. The signs are even present in countries like Sweden, Denmark, Finland and the Netherlands. They can be detected in the resurgence of a rabid chauvinistic kind of nationalism eager to return to the original myths of the race and coupled with Xenophobia and Islamophobia and a contemptuous rejection of multi-culturalism. I am afraid things will have to get much worse before they begin to get better.